Colorado has been driven to invest in this study, to give more insight to medical researchers and policy makers regarding post-traumatic stress disorder and marijuana. Currently, whether you are the side of legalization or you think pot should be illegal, there is not sufficient scientific evidence to support your theory either way. The new pot studies will focus on the effect of marijuana on PTSD symptoms. The first study will involve two separate sites and 76 veterans who suffer from PTSD. The study is going to compare three different strains of marijuana to assess levels of effectiveness in treating symptoms of PTSD. Researchers plan to use interviews, questionnaires, as well as assess other physiological responses to track mental and health consequences of medical marijuana. Over the course of the study, researchers will continue to track physical and mental health of participants for six months. A second student, which is more extensive, will take place in Denver and involve 150 participants who suffer from PTSD. According to researchers, half of these participants have already been using marijuana to self-medicate. 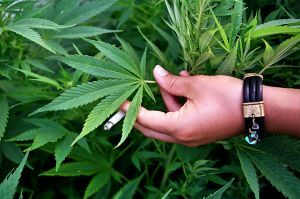 The marijuana users will be paired with a non-user who has gone through a similar war experience and suffers from PTSD. The two pairs will be tracked or compared to determine who is faring better–those who use pot or those who don’t. A significant and growing number of physicians and medical researchers are seeing the advantages of medicinal marijuana. Professionals who see a value in the chemical components as beneficial in treating PTSD are finding a greater need for these studies. With the long-term ban on marijuana testing by the federal government, the current medical tests are welcomed by a large portion of the medical community. If you are a medical marijuana user in California, it is important to know your rights and responsibilities. Our Orange County medical marijuana attorneys can help keep you in compliance and will take every necessary step to defend your interests in a criminal matter.